Shirley Delta Blow reads 'Morris Micklewhite and the Tangerine Dress' during Drag Queen Story Hour. 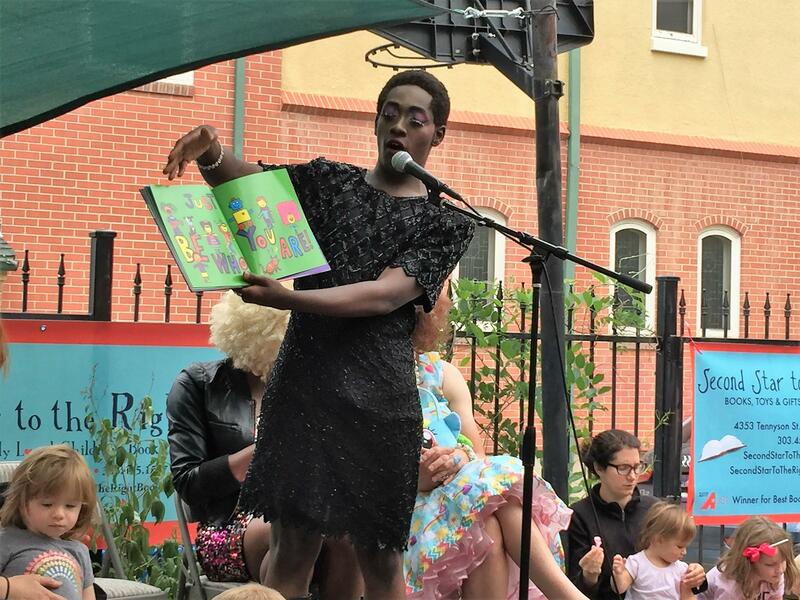 Anthony Adu reads as part of Drag Queen Story Hour at Denver children's bookstore Second Star to the Right. She’s not your usual children’s story time reader, but then again, she’s not reading the usual children’s story. “This is called ‘Morris Micklewhite and the Tangerine Dress,’” Blow said. The book talks about all the ways Morris is a lot like many of the children -- he likes pancakes and playing at recess. It also talks about how he might be different -- he likes to play dress up and his favorite item is a tangerine dress. It’s a book that Blow can relate to. In real life, Shirley Delta Blow is actually Stuart Sanks, and today is not just any story hour. It’s Drag Queen Story Hour. “As drag queens we bring happiness and joy and so who better of an audience to serve than kids,” said Sanks, who is also a third-grade teacher. But this was a first time reading in drag. It’s a first for bookstore owner Dea Lavoie, too. A typical story hour brings in about 30 people, Lavoie said. 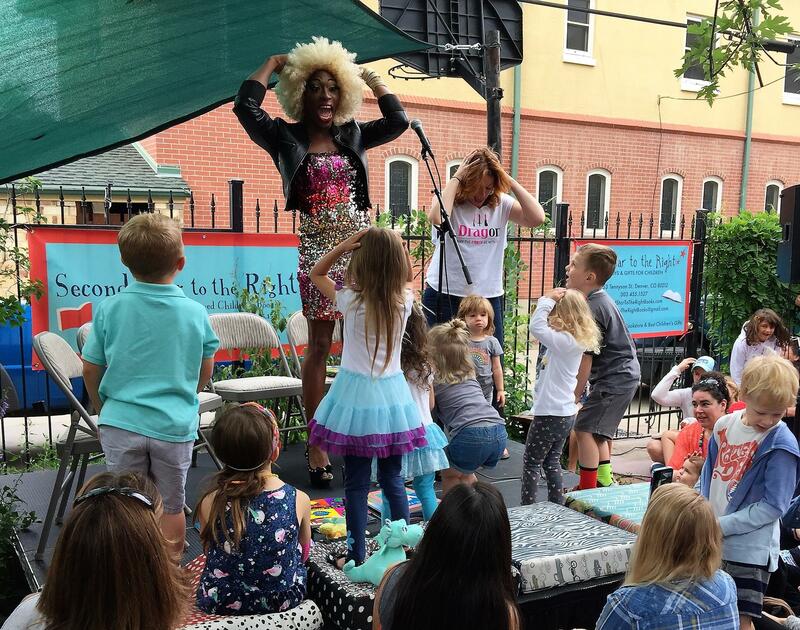 For Drag Queen Story Hour, more than 200 people showed up. Lavoie said the demand may turn a one-off event into a recurring story time. 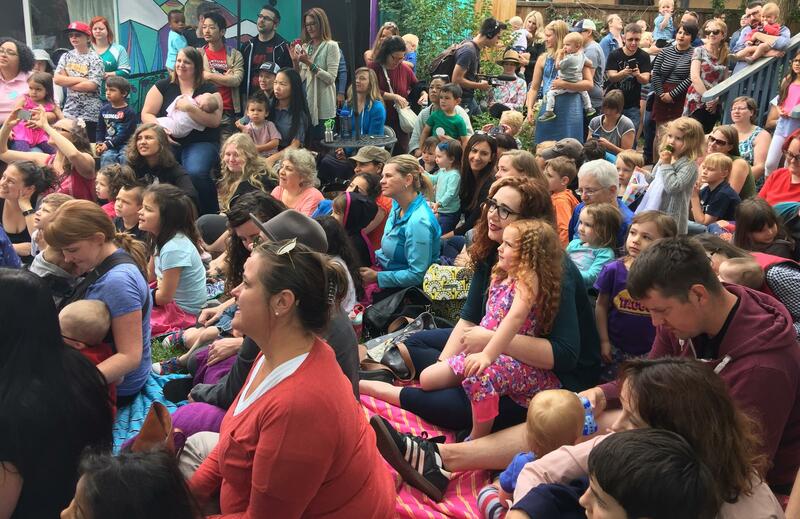 More than 200 people attended Second Star to the Right's Drag Queen Story Hour. The guest readers were all performers from the recently wrapped Denver Center for the Performing Arts production “DragOn!” For Shirley Delta Blow, the change in her usual audience is a welcome chance to educate on another level. While 7-year-old Madeline Ball of Arvada knew this story hour was different from others she’s attended at Second Star, she seemed to take it in stride. 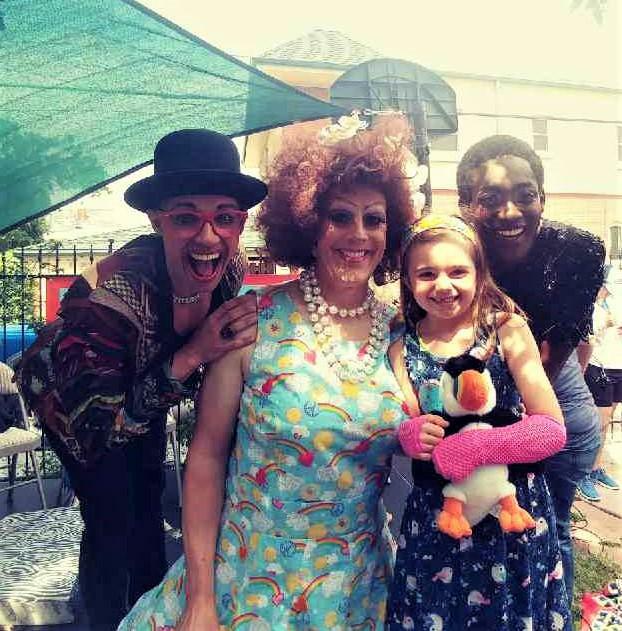 Madeline Ball, 7, gets a photo with the guest readers at Second Star to the Right's Drag Queen Story Hour. Madeline’s mom said it was important to bring her to the event. That’s exactly why Lavoie wanted to do Drag Queen Story Hour. She had heard about it happening in cities like San Francisco and New York, where the Brooklyn Public Library’s event a little over a year ago spearheaded the trend. While she loves that there are now books like “Princess Boy” and “I Am Me,” Shirley Delta Blow -- aka Stuart Sanks -- said having them growing up would have been helpful. On a cold, rainy morning, a van pulls up outside a rural elementary school on the outskirts of Islamabad, Pakistan's capital. The fluorescent green vehicle provides a flash of color on this otherwise gray day. There's a picture of children reading books under a large apple tree, and the words "Reading is fun" are painted in English and Urdu, the national language in Pakistan. This is the weekly visit of the Bright Star Mobile Library. 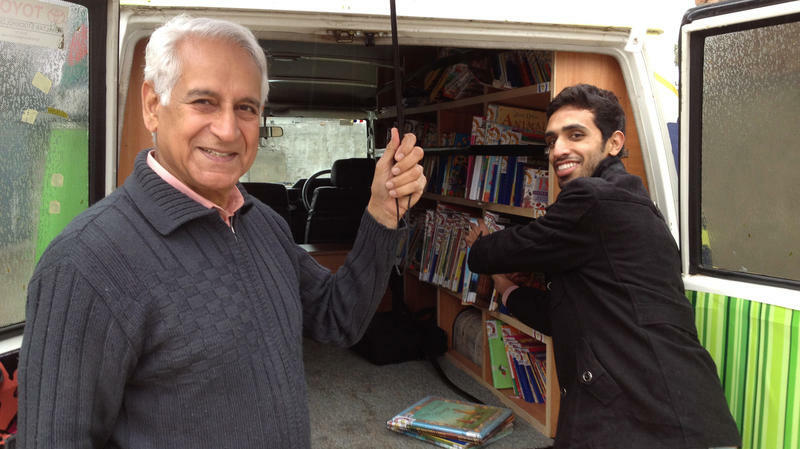 Volunteer Ameena Khan starts pulling books from shelves on either side of the van. For generations of children, the Eloise book series is a favorite. It tells the story of a 6-year old troublemaker who lives at New York's Plaza Hotel. 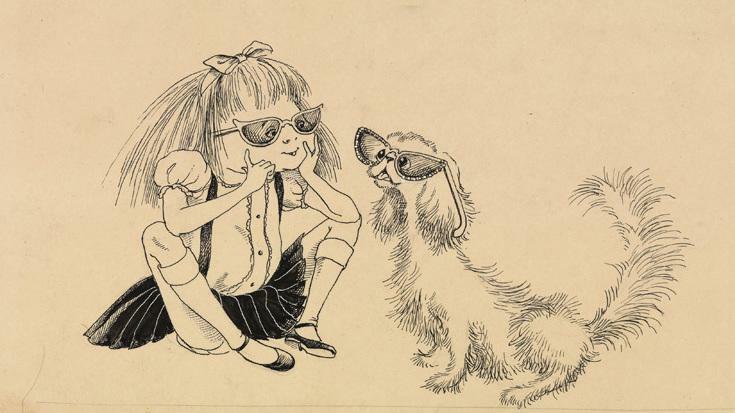 Now "Eloise at the Museum," an exhibition at the New York Historical Society, looks at the creators of the series: author Kay Thompson, who died in 1998, and illustrator Hilary Knight, who's now 90.